3. The assessee considered the proportionate land apportioned to the 04 flat purchasers as sale of land belonging to her and disclosed long term capital gain of Rs.58,87,176/-in the process. We may also note that the development permission was granted by the competent authority on 29.07.2006 and Building Use Permission was granted on 23.10.2008. 4. In the context of these facts, the Assessing Officer, during the scrutiny assessment of the Return filed by assessee, raised an objection to the assessee’s claim of deduction from the capital gains received by her on the ground that no construction was carried out after 23.10.2008, which is the date on which the Building Use Permission was granted. The flats were sold after such date by executing the sale deeds. This was not in tune with the statutory requirements for claiming deduction. “12. With respect to holding the assessee to be not eligible for deduction u/s.54F, it is an undisputed fact and also noted by CIT(A) that the transfer with respect to 4 flats by means of registered sales deed took place in FY 2008-09 relevant to AY 2009-10 . He has also given a finding that the building was constructed between 01.02.2007 and 23.10.2008 and the BU permission was granted by AMC on 23.10.2008 meaning thereby that no construction activity took place after 23.10.2008. For grant of deduction u/s.54F in case of construction of a residential house, the condition is that the assessee has within a period of three years after the date of transfer of long term asset, constructed a residential house. In the present case, since the construction took place prior to the date of transfer, we are of the view that CIT(A) has rightly appreciated the facts and by his well reasoned order held that Assessee is not eligible for deduction u/s.54F. Before us, the ld. AR could not bring any decision of any High Court in support of his contention where it has been held that even the construction of residential house before the date of transfer would be eligible for deduction u/s.54F. Further, the case laws relied upon by the ld. AR are distinguishable on facts. In the case of Smt. Tarulata Shyam & others v. CIT (1977) 108 ITR 345 (SC) the Hon’ble Apex Court has held that there is no scope for importing into the statute words which are not there. Such importation would be, not to construe, but to amend the statute. Even if there be a casus omissus, the defect can be remedied only by legislation and not by interpretation. The intention legislature is primarily to be gathered from the words used in the statute. Once it is shown that the case of the assessee comes within the letter of the law, he must be judicial of the taxed, however, great the hardship may appear to the judicial mind to be. 6. The Tribunal, thus, noted that the construction of the building was carried on between 01.02.2007 and 23.10.2008. Since the Building Use Permission was granted on 23.10.2008, it could safely be held that no construction activity took place after such date. According to the Tribunal, for grant of deduction u/s.54F of the Income Tax Act, 1961 (“the Act” for short), in case of construction of a residential house, the condition is that the assessee has to, within a period of three years after the date of transfer of long term asset, construct a residential house. In the present case, the construction took place prior to the date of transfer and therefore, the conditions of Section 54F of the Act were not fulfilled. It is against this judgment that the assessee has filed this Tax Appeal with the above noted question of law being framed. 7. Appearing for the assessee, learned counsel Shri J.P. Shah submitted that the assessee was occupying the bunglow situated on the land in question. She desired to construct flats on such land, after demolishing the bunglow. A part of the constructed property would be retained by her for her personal use. The rest would be sold to customers. In all, 08 flats were proposed. When the construction was going on, she found 04 customers with whom agreements to sale were executed. A sizeable earnest money was paid by the customers for purchase of flats. Soon after completion of the construction, final sale deeds were also executed. The entire sequence of events must be appreciated in proper perspective. He contended that the requirements of Section 54F of the Act should not be enforced with rigidity. The intention of the Legislature was to grant deduction in case where the capital gain arising out of sale of land is invested in construction of a residential unit by the assessee. Such purposive construction of the statutory provision is not discarded even in taxing statutes. 7.1 Counsel further submitted that upon execution of the agreements to sale, there would be transfer of capital asset. In the present case, all agreements to sale were executed prior to completion of construction. The Tribunal, therefore, committed a serious error in denying benefit of deduction u/s.54F of the Act to the assessee. 8. In support of his contentions, counsel for the assessee relied on the following decisions; (A) Heavy reliance was placed on the judgment of the Supreme Court in case of Sanjeev Lal & others v. CIT and another reported in  365 ITR 389 (SC) . On the basis of such judgment, it was contended that upon execution of agreement to sale, a capital asset gets transferred. For the same purpose, reliance was also placed on the decision of the Division Bench of Delhi High Court in case of Commissioner of Income-tax II v. Kuldeep Singh reported in  226 Taxman 133 (Delhi) and also of Allahabad High Court in case of Commissioner of Income-tax-II, Agra v. Shimbhu Mehra reported in  236 Taxman 561 (Allahabad) . (B) The decision of Supreme Court in case of R.B. Jodha Mal Kuthiala v. CIT, Punjab, J & K and Himachal Pradesh reported in  82 ITR 570 (SC) was also relied upon, in which it was observed that for the purpose of Section 9 of the Income-tax Act, 1922, the owner must be the person who can exercise the rights of the owner, not on behalf of the owner but in his own right. (C) The Division Bench of Karnataka High Court in case of CIT; Dy. Director of Income-tax (INTL TAXN) v. Shakuntala Devi since deceased by her LRS Anupama Banerji, Shakunthala Devi reported in 2016 (389) ITR 366 in which, it was observed that utilization of capital gains in construction of residential house would be sufficient to claim the benefit u/s.54 of the Act. (D) The decision of the Full Bench of Kerala High Court in case of CIT, Cochin v. Grace Collis reported in 2001 (248) ITR 323 was cited in the context of Section 2(47) of the Act, in which, it was observed that the expression “extinguishment of any rights therein” does include the extinguishment of rights in a capital asset independent of or otherwise than on account of transfer. (E) The decision of Division Bench of Bombay High Court in case of Chaturbhuj Dwarkadas Kapadia v. Commissioner of Income-tax, Bombay City-VIII reported in 2003 (260) ITR 491 was cited before us, where the question before the Court was as to in which year the capital gain should be taxed, in the context of a development agreement. We would refer to the facts of this case in detail later. (F) In case of CIT (Central) Hyderabad v. G. Venkata Laxmi reported in 2015 (373) ITR 572, the Division Bench of Telangana and Andhra Pradesh High Court had observed that in order to get benefit u/s.54 of the Act, it does not appear that in case of purchase of property with sale proceeds, it has to be reckoned within 03 years and in case of construction of new building utilizing sale proceeds, the construction has to be completed within a period of 03 years from the sale. (G) In case of CIT v. Sambandam Udaykumar reported in 2012 (345) ITR 389 rendered by the Division Bench of Karnataka High Court in the context of deduction u/s.54F of the Act, it was observed that the essence of the provision is whether the assessee who received capital gains has invested in a residential house or not. Once it is demonstrated that the consideration received on transfer has been invested, either in purchasing a residential house or in constructing a residential house, even though the transactions are not complete in all respects and as required under the law, that would not disentitle the assessee from the said benefit. (H) The decision of Supreme Court in case of Vania Silk Mills Pvt. Ltd. v. CIT, Ahmedabad reported in 1991 (191) ITR 647 was cited, in which, in the context of the definition of the term “Transfer” in Section 2(47) of the Act, it was observed that the same is inclusive and therefore, extends to events and transactions, which may not, otherwise, be transfer according to its ordinary, popular and natural sense. The expression “extinguishment of any rights therein” will have to be confined to extinguishment of rights on account of transfer and cannot be extended to mean any extinguishment of rights independent or otherwise than on account of transfer. (I) A decision of the Division Bench of this Court in case of Rustom Spinners Ltd. v. CIT reported in 1992 (198) ITR 351 was cited, in which, the assessee had acquired the right under a sale agreement for a consideration of Rs.5 Lakhs and subsequently, received surplus of Rs.9 Lakhs on assignment of the rights so acquired. The assessee disputed that such surplus could not be taxed as short term capital gain. The Court negatived such contention observing that it cannot be stated that no assignment was made by the assessee. Once it is held that there was no frustration of the contract and there was acquisition of rights, the assessee would be liable for tax on the capital gains. (J) Heavy reliance was placed on the decision of the Division Bench of Bombay High Court in case of CIT, Bombay City I v. Tata Services Ltd. reported in  122 ITR 594 in which it was held that the right to obtain conveyance in immovable property is a capital asset. (K) Counsel for the assessee relied on the Circular No.359 dated 10.05.1983 issued by the C.B.D.T. clarifying, in the context of deduction u/s.54E of the Act, that strict interpretation may go against the purpose of the Section and that if the assessee invests the earnest money or the advance received in specified assets before the date of transfer of the asset, then the amount so invested will qualify for exemption u/s.54E of the Act. While agreeing that this clarification may not have direct application to the facts of our case, counsel submitted that this would demonstrate that even in taxing statutes, purposive construction theory is not to be discarded. For the same proposition, reliance was also placed on the decision of Supreme Court in case of CIT-III v. Calcutta Knitwears, Ludhiana reported in 2014 (362) ITR 673. 9. On the other hand, learned counsel Shri M.R. Bhatt for the Department opposed the appeal contending that the facts are not in dispute. The construction of the assessee’s residential house was completed on 23.10.2008. The flats which were sold after such date would not fulfill the conditions laid down in Section 54F of the Act for claiming deduction. He would, however, agree that in case of sale of flat to Kankuben Mansingbhai Patel, the sale deed which was executed on 10.09.2008, fell before the date of grant of Building Use Permission. For the remaining three flats, he would, however, argue that the Tribunal’s view is in consonance with the statutory requirements and calls for no interference. 10. Counsel contended that mere agreement to sale cannot be equated with sale of any immovable property. Even though under agreement to sale certain important rights are created, it cannot be stated that upon execution of the agreement to sale, capital asset would stand transferred. (A) In case of CIT-VIII v. Atam Prakash and Sons reported in  175 Taxman 499 (Delhi), the Division Bench of Delhi High Court observed that mere grant of permissive right by the assessee to construct building on a plot of land would not amount to transfer of capital asset. (B) In an unreported decision dated 12.01.2012 rendered by the learned single Judge of Punjab and Haryana High Court in case of Sukhwinder Kaur v. Amarjit Singh and others in Civil Revision No.2616 of 2011, it was observed that an agreement to sell a property itself does not create any right or title in the property and that it is the sale deed, which, when executed, will create right, title and interest in the property. These observations were made in the context of requirement of compulsory registration of agreement to sale and whether failure to do so would make the document inadmissible in evidence in a suit for specific performance. (C) In case of Smt. Shail Moti Lal v. CIT, Chandigarh reported in  218 Taxman 298 (P&H), the Division Bench of Punjab and Haryana High Court, in the context of transfer of capital asset, held that the transfer would take place only on the execution of the sale deed and the date of agreement to sell cannot be treated as the date of transfer of immovable property. (D) In case of Ratna Trayi Reality Service (P) Ltd. v. Income tax Officer reported in 2013 (356) ITR 493, this Court observed that an agreement to sale, without there being anything more, cannot be equated with transfer of property. (E) Reliance was placed on the decision of Supreme Court in case of Suraj Lamp & Industries Pvt. Ltd. v. State of Haryana and another reported in 2012(1) SCC 656, in which, the Court made certain important observations with respect to transfer of immovable properties under agreement to sale and under Wills. The Court frowned upon the practice of virtual transfer of immovable properties under agreement to sale with delivery of possession on payment of full consideration but, without registration of the document and payment of necessary stamp duty and transfer fees. In this context, it was observed that any contract of sale (agreement to sale), which is not a registered deed of conveyance (deed of sale), would fall short of the requirements of Sections-54 & 55 of the Transfer of Property Act and will not confer any title nor transfer any interest in an immovable property, except to the limited right granted u/s.53A of the Transfer of Property Act. An agreement to sale, whether with or without possession, is not a conveyance and under the Transfer of Property Act, sale of immovable property can be made only by a registered instrument and an agreement to sale does not create any interest or charge on its subject matter. We have already noted the undisputed facts. We may refer to the statutory provisions to resolve the controversy. Section 45 of the Act pertains to capital gains. Sub-section (1) thereof provides that any profit or gain arising from the transfer of a capital asset effected in the previous year shall, save and otherwise provided in Sections 54, 54B, etc., be chargeable to tax under the head “capital gains” and shall be deemed to be the income of the previous year when the transfer took place. The terms “capital asset” and “transfer” have been defined under Sections 2(14) and 2(47) of the Act respectively. Clauses (a) and (b) of Section 2(14) of the Act define “capital asset” as (a) a property of any kind held by the assessee, whether or not connected with his business or profession and (b) any securities held by a Foreign Institutional Investor which has invested in such securities in accordance with the regulations made under the Securities and Exchange Board of India Act, 1992. The remaining portion of this definition is in the nature of exclusion and excludes the stock in trade, personal assets, agricultural land, etc. Section 54F of the Act carries the title “capital gain on transfer of certain capital assets not to be charged in case of investment in residential house”. Sub-section (1) of Section 54F of the Act provides for deduction in computation of capital gain arising out of transfer of long term capital asset if the assessee, within a period of 01 year or before 02 years after the date on which the transfer took place purchased or within a period of 03 years after such date constructed one residential house. If the cost of new asset is not less than the net consideration in respect of the original asset, the whole of the capital gain would not be charged. Otherwise, the deduction would be proportionate. In the context of these provisions, the assessee’s case and the rival contentions have to be examined. We may recall that with respect to 03 out of the 04 flats sold by the assessee, the sale deeds were executed after the date of grant of Building Use permission. In plain terms, therefore, after the sale of these flats, no construction was carried out. Therefore, if the date of the sale deeds is considered the crucial date for transfer of the capital asset, the construction preceded the transfer. What sub-section (1) of Section 54 of the Act requires is that the assessee, after the date of transfer, purchases or within three years after such date, constructs a residential unit, only then the benefit of deduction would be granted. This provision, therefore, provides that construction of the residential unit should be done after the date of transfer but, within three years from such date. Under the circumstances, if the sale deeds are considered on the date on which the transfer of capital asset took place, the case of the assessee would not fall within the parameters of the said provision. It is, in this context, that both the sides had strenuously argued the case. Learned counsel for the assessee obviously contended that the capital asset, i.e. in the present case, the land of the assesee, should be treated to have been transferred on the date on which the agreement to sale took place. Counsel for the Revenue, for obvious reasons, opposed this proposition. Section 5 of the Transfer of Property Act, 1882 defines the term “transfer of property” as to mean an act by which a living person conveys property in present or in future to one or more other living persons or to himself or to himself and one or more other living persons. Section 54 of the Transfer of Property Act defines “sale” as a transfer of ownership in exchange for a price paid or promised or part-paid or part-promised. It further provides that transfer in case of a tangible immovable property of a value of Rs.100 and above or reversion of other intangible thing can be made only by a registered instrument. It is undisputable that an agreement to sale does not convey a property from one person to another, either in present or even in future. An agreement to sale an immovable property is a bilateral contract under which the two parties, i.e. the buyer and the seller, agree to certain terms and conditions, subject to which the property in question would be transferred by the seller to the buyer for a decided sale consideration. The terms and conditions of the agreement to sale are bound to be different in each case. However, the common thread would be the commitment of the owner of the property to convey to the purchaser the right, title and interest in such property upon the purchaser paying the agreed consideration in agreed manner. It is only after such bilateral obligations are discharged that the execution of the sale deed would take place and it is this sale deed, which is compulsorily registrable under Section 17 of the Registration Act, 1908, upon being registered, would transfer the right, title and interest in the property in question into the purchaser. It is only upon the execution of the sale deed that the title in the property would vest in the purchaser. We must, however, view these transactions in the context of the provisions contained in the Act instead of confining its effect to the Transfer of Property Act and the Registration Act. As noted, Section 2(14) of the Act defines “capital asset” inter alia as a property of any kind held by an assessee. Section 2(47) of the Act defines “transfer” in relation to a capital asset to include sale, exchange or relinquishment of the asset or extinguishment of any rights therein. The term “transfer” defined u/s.2(47) of the Act, thus, has a much wider connotation, as compared to the common parlance understanding or even under the Transfer of Property Act, under which the term “transfer of property”, as noted earlier, has a narrower sweep. It is, perhaps, possible to argue that the agreement to sale gives rise to a capital asset. Upon execution of the agreement to sale, the intending purchaser gets a certain right to insist that the title of the property be transferred if he performs his part of the obligation arising out of the agreement. If the seller is unwilling to do so, the intending purchaser may also successfully bring a suit for specific performance by demonstrating that he was and had always been ready and willing to perform his part of the obligations arising out of the agreement. Under an agreement to sale, thus, the seller binds himself to do or not to do certain things in reciprocation of the purchaser performing his part of the obligations. Correspondingly, it may be stated that the seller’s right to freely deal in the property in question gets curtailed. It may, therefore, also be possible to argue that upon execution of such an agreement, there was extinguishment of certain rights of the owner and to that extent, there was a transfer of capital asset. The crucial question, however, still begs the answer is can it be stated that the agreement to sale transfers the property in question within the meaning of Section 2(47) of the Act ? In our opinion, the answer has to be in the negative. As discussed earlier, the agreement to sale an immovable property is in the nature of bilateral contract between the seller and the buyer. Under such agreement, the seller agrees to transfer the title in the property to the buyer, upon the buyer performing his part of the obligations, mainly, revolving around the payment of sale consideration on agreed terms. Such agreement to sale, however, has to culminate into a registered sale deed, so as to transfer the title of property in question from the seller to the buyer. There may be multiple reasons why such eventuality may never arise and these reasons could be entirely different from the seller refusing to perform his part of the obligations arising out of the contract or for some such reason, the transaction running into legal controversies. Some of the imaginable reasons could be the inability of the seller to clear the title of the property due to which the contract may be frustrated or rescinded with mutual consent or the refusal or inability of the purchaser to pay the sale consideration. An agreement to sale immovable property does not cast obligations only on the seller. It is based on reciprocal promises to be performed by both sides. If the purchaser fails to discharge his obligations arising out of the contract, then the agreement may as well not culminate into a final sale deed. Depending on the terms of agreement, the seller may either forfeit the earnest money, rescind the contract or in a given case, sue for specific performance or damages. These are but, a few illustrative examples to appreciate that there can be a wide gap between an agreement to sale and an actual instance of sale being evidenced under a sale deed. To therefore hold that upon mere execution of an agreement to sale of the immovable property itself gets transferred into the purchaser, even within the extended definition of Section 2(47) of the Act, would be incorrect. In this context, we must first refer to the judgment of the Supreme Court in case of Sanjeev Lal (supra) on which heavy reliance was placed by counsel for the assessee. It was a case in which the assessee owned an immovable property, namely, a house, situated in Chandigarh. He decided to sell the house, for which an agreement to sale was executed on 27.12.2002 for a sale consideration of Rs.1.32 Crores. Out of such amount, a sum of Rs.15 Lakhs was received by the assessee by way of earnest money. The assessee also intended to purchase another house property in Chandigarh out of the sale proceeds. The house was purchased on 30.04.2003, which was within 01 year from the date of execution of the agreement to sale. Before the sale deed could be executed, the validity of the Will under which the assessee had received the property was called in question by another son of the deceased testator by filing a Civil Suit. The trial Court granted interim injunction restraining the assessee from dealing with the property. However, during the pendency of the suit, the plaintiff died leaving behind no heirs and the suit was dismissed in May 2004. It was due to the interim injunction that the assessee could not execute the sale deed. Upon dismissal of the suit, the sale deed was executed on 24.09.2004. 19.1 In this context, the assessee’s claim for deduction of capital gain arose. The Revenue argued that the assessee was not entitled to benefit of Section 54 of the Act since the transfer of the capital asset took place on 24.09.2004 whereas, the assessee had purchased another residential house on 30.04.2003, i.e. more than 01 year prior to the sale of the asset. The Supreme Court noted that Section 54 of the Act clearly provides that in order to avail benefit under the said Section, one must purchase a residential house or a new asset, within 01 year prior to or 02 years after the date on which the transfer of residential house in respect of which the long term capital gain had arisen, has taken place. The Court, therefore, noted that looking to the relevant dates, if one considers the date on which the assessee had decided to sell the property as the date of transfer or sale, then the=J appellant-assessee would be entitled to benefits under Section 54 of the Act. The Court, therefore, posed a question to itself whether the agreement to sale, which was executed on 27.12.2002, can be considered as a date on which the property, i.e. the residential house, had been transferred. The Court observed that in normal circumstances, by executing an agreement to sale of an immovable property, a right in personem is created in favour of the transferrer. In such situation, the vendee is restrained from selling the property to anyone else. However, the question still remains whether the entire property can be said to have been sold at the time when the agreement to sale was entered into. The Court was of the opinion that in normal circumstances, such question had to be answered in the negative. The Court, thereafter, referred to the provisions of Section 2(47) of the Act giving expanded meaning to the term “transfer” and further observed in light of the said definition that one can come to the conclusion that some right in respect of the capital asset in question had been transferred and that such right with respect to the capital asset had been extinguished, after execution of the agreement to sale. The Court also observed that, no doubt, such contractual right can be surrendered and neutralized by the parties by subsequent contract or conduct. But, such was not the case on hand. The Court also noted that the sale deed could not be executed for the reason that the assessee had been prevented from dealing with the residential house by an order of the competent Court. The Court, in view of such peculiar facts of the case and looking to the definition of “transfer” u/s.2(47) of the Act, was of the view that the assessee was entitled to relief u/s.54 of the Act. 20. This judgment, contrary to what was strenuously canvassed before us, does not lay down a blanket proposition that without there being anything else, upon execution of an agreement to sale of an immovable property, the asset, i.e. the property in question, itself stands transferred. Main thrust in the said case was that the assessee, after having executed an agreement to sale the property, was prevented from executing the sale deed by an injunction of the Court. In the meantime, he had already purchased the new property. These were the peculiar facts of that case. 22. The Delhi High Court in case of Kuldeep Singh (supra) relied on the observations of the Supreme Court in case of Sanjeev Lal (supra) in a situation where, the assessee, having sold his residential property, had entered into an agreement with a builder within the prescribed period of 02 years from such sale for purchase of flat, the payment of which was linked to the stage of construction. In this background, the Court held that the assessee had satisfied the requirements of Section 54 of the Act. 23. Like-wise, the Allahabad High Court in case of Shimbhu Mehra (supra) applied the observations of the Supreme Court in case of Sanjeev Lal (supra) in a slightly different context. It was a case in which the assessee had entered into an agreement to sale his land on 04.07.2001 with a prospective buyer and had received part consideration with the aid of which the assesee discharged the liabilities of a lending bank, which had a charge overilthe property. The mortgage was released on 21.11.2001 and the sale was executed in April 2003. The Assessing Officer was of the opinion that since the sale deed was executed in April 2003, the provisions of Section 50C of the Act, which came into effect from 01.04.2003, would apply. The Court, however, held that the transfer of property took place on 04.07.2001 and therefore, Section 50C of the Act would not apply. Both these judgments arise in substantially different backgrounds as compared to the facts of the present case. 24. The Bombay High Court in case of Chaturbhuj Dwarkadas Kapadia (supra) was dealing with different set of facts. The assessee therein had entered into an agreement dated 18.08.1994 under which he agreed to sell his share in an immovable property to one Floreat Investments Ltd. for a total consideration of Rs.1.85 Crores (rounded off). Under such agreement, Floreat Investments Ltd. was given the right to develop the property in accordance with the rules and regulations framed under the Maharashtra Housing and Area Development Act. For such purpose, the assessee agreed to execute limited Power of Attorney authorizing Floreat Investments Ltd. to deal with the property and to obtain permissions and approvals from the Urban Land Ceiling Authority, Bombay Municipal Corporation, etc. It was also agreed that upon Floreat Investments Ltd. obtaining all necessary permissions, approvals and NOC under Chapter 20-C of the Act, the assessee would grant an irrevocable licence to demolish the building. Till then, the assessee would receive proportionate rent from the tenants. Clause-20 of the agreement provided that the sale shall be completed by execution of conveyance. However, no such conveyance was executed. In the background of such facts, the question that arose was during which Assessment Year, i.e. A.Y. 1996-97 or 1999-00, the liability of the assessee for capital gain arose. There was no dispute between the assessee and the Revenue that the liability did arose. The only question was when such liability can be said to have arisen. In this background, the Court noted that what the assessee had entered into was a development agreement, which would enable the builder to make profits by building and selling the flats at a profit. It was precisely for this reason that the Legislature had introduced clause-(v) to Section 2 (47) r/w. 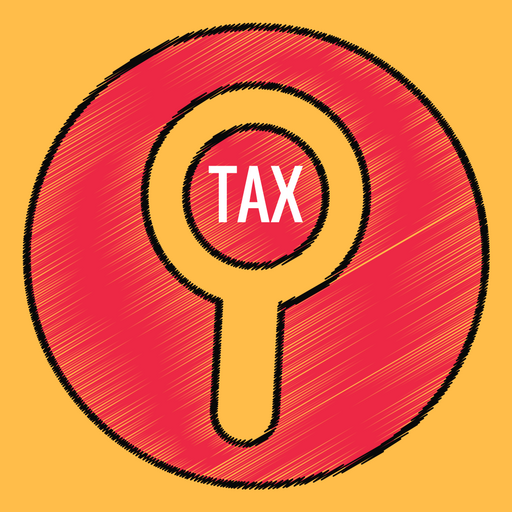 Section 45 of the Act, which indicates that capital gain is taxable in the year in which such transaction is entered into even if the transfer of immovable property is not effective or complete under the general law. The facts of the case and the question which arose before the Court were, thus, very different. 27. The judgment of Bombay High Court in case of Tata Services Ltd. (supra) is also of some interest to us. It was a case in which the assessee had entered into an agreement to purchase a residential plot at Malabar Hill, Bombay and had paid Rs.90,000/as earnest money. The agreement was in respect of 5000 square yards out of a larger plot of land and the price was fixed at Rs.175/per square yard. The balance purchase price was to be paid on completion of construction, which will be done within six months from the date of agreement. This transaction, however, ran into legal controversies. Eventually, it was agreed that the assessee would receive a sum of Rs.5.90 Lakhs, which would include the earnest money of Rs.90,000/paid by him from M/s. Advani and Batra, upon which the assessee would transfer and assign in favour of M/s. Advani and Batra, the assessee’s right and title under the agreement entered with the owner for purchase of the property. The assessee passed on a receipt of having received such amount of Rs.5 Lakhs, being the consideration for transfer and assignment of right, title and interest under the agreement. Relying on the words of the receipt, the Assessing Officer held that the assessee was liable to pay capital gain tax after adjusting the expenses incurred by the assessee. On a reference, the issue finally reached the High Court. The Court, under such background, observed that it is difficult to see how it is open for the assessee to contend that there was no transfer at all of any right in favour of M/s. Advani and Batra, as contemplated by the definition of the word “transfer” u/s.2(47) of the Act. In the opinion of the High Court, the rights that the assessee had were assigned in favour of M/s. Advani and Batra. The Court was of the opinion that Rs.90,000/paid by the assessee as earnest money was cost for acquisition of such right and Rs.5 Lakhs which was over and above the sum of Rs.90,000/originally paid by the assessee by way of earnest money would be the capital gain in the hands of the assessee. In the said case, the Court was concerned with the limited question of the rights being created under an agreement to purchase an immovable property and the question of transfer of such rights or extinguishment thereof, upon the assessee assigning such rights in favour of someone else. The Court was not called upon to and did not, therefore, decide the question whether on a mere agreement to sale, the entire immovable property can be stated to have been transferred in favour of the intending purchaser. The Circular issued by the CBDT No.359 dated 10.05.1983 relied upon by the appellant was in different context and would not, in any case, further the case of the assessee that upon execution of any agreement to sale, the immovable property itself stands transferred. The assessee’s claim for deduction u/s.54F of the Act cannot succeed except in relation to the transfer of a flat in favour of Kankuben Mansingbhai Patel, which had happened before the completion of construction. In such a case, since construction can be stated to have been carried out after the transfer of the original capital asset, the claim of deduction u/s.54F of the Act cannot be denied. To this limited extent, the appeal succeeds. The Assessing Officer to recompute the deduction accordingly. Subject to the above, the Tax Appeal stands disposed of. This entry was posted in Sec. 2(47), Section 54F and tagged 407 ITR, Gujarat High Court, In favour of Assessee (Partly), what is construction for section 54F. Calcutta H.C : the appellant did not file its return for the relevant assessment year within the period prescribed under Section 139 (1) of the Act.